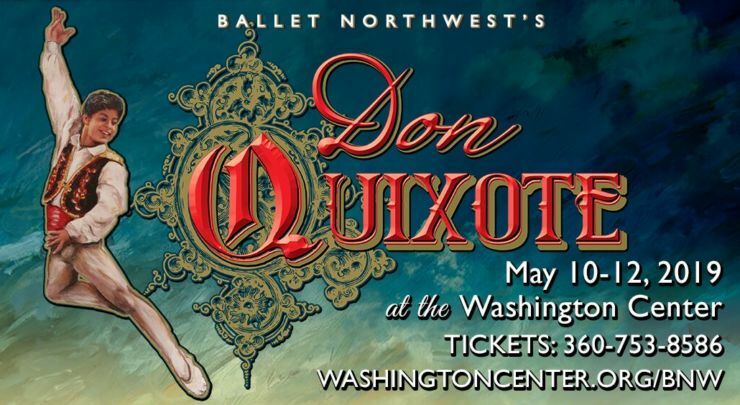 Premiered by Ballet Northwest in 2015, this Spanish-themed ballet is fun for the whole family, featuring toreadors, gypsies, and the young couple in love, Kitri, and Basilio. This comic-filled ballet includes beautiful sets and costumes, and one of the most famous duets in the world, the Act III wedding pas de deux. The lead male role of Basilio will be danced by BNW company member Giovanny Garibay, who recently competed in the Youth America Grand Prix competition at Lincoln Center in New York City. Student, Senior, Youth, and other discounts available.